DCM has been building the biggest values in audiophile speakers for over thirty years. 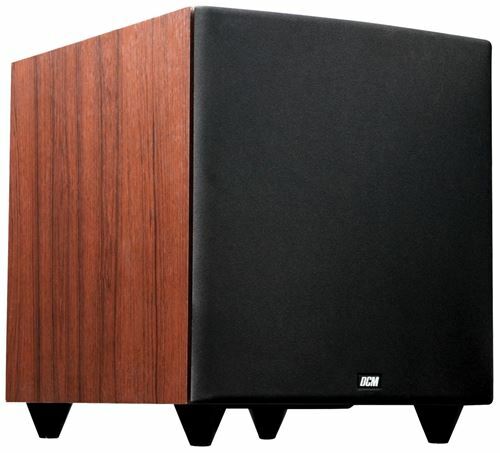 The DCM Time Bass powered subwoofers are no exception. Built using the finest materials, our team of engineers have created one of the most effective subwoofers ever to hit the home theater market. 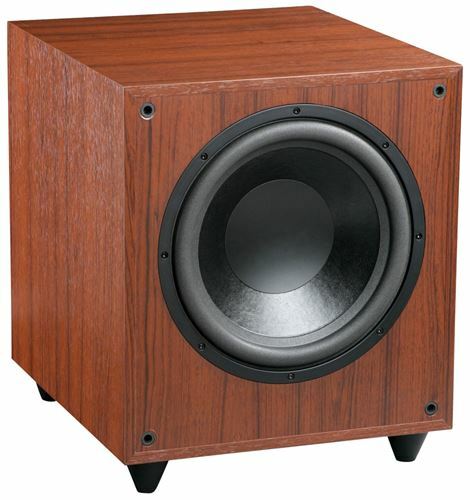 The drivers incorporate a stiff, composite paper cone, a construction which resists deformation from high pressure inside the internally braced enclosure and from forces transmitted by the voice coil. Key DCM features include active compression circuitry protection. Have you ever been over at a buddy's house watching STAR WARS during the pod race scene when an explosion hits and it sounds like 100 cats simultaneously coughing up fur balls? That's a prime example of an under-powered over-driven system without proper protection circuitry. Active compression evaluates the input signal and protects against harmful spikes to keep the amplifier from clipping.